Arab League head Ahmed Abul Gheit warns Trump against recognizing Jerusalem as Israel's capital. The head of the Arab League on Sunday warned that a decision by U.S. President Donald Trump to recognize Jerusalem as Israel's capital would boost fanaticism and violence, and not serve the Israeli-Palestinian peace process. 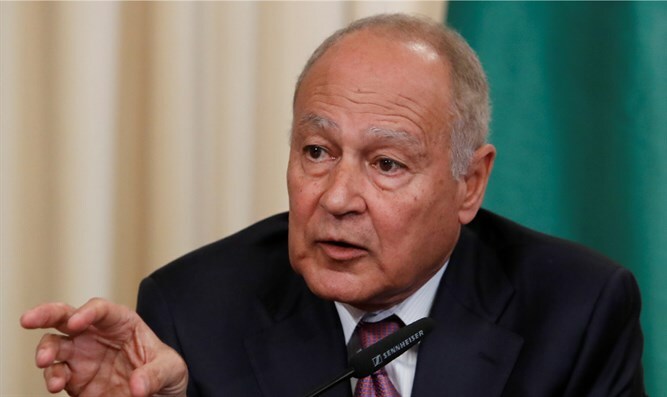 "It is unfortunate that some are insisting on carrying out this step without any regard to the dangers it carries to the stability of the Middle East and the whole world," Ahmed Abul Gheit told reporters in Cairo on Sunday, according to AFP. Trump is to decide by Monday whether he will sign the waiver delaying the move of the U.S. embassy from Tel Aviv to Jerusalem, which every president has done every six months since 1995. It has been speculated, however, that he may declare that the U.S. recognizes Jerusalem as Israel’s capital in lieu of moving the embassy. Reports have said that such recognition could come as soon as Wednesday. Trump's son-in-law and Middle East peace envoy Jared Kushner told the Saban Forum earlier on Sunday the president is close to a decision on whether to recognize Jerusalem as Israel's capital but stressed he hadn’t made a final decision. Palestinian Arab leaders are lobbying desperately against a possible recognition of Jerusalem, fearing it could provoke such fury in the Arab world it could sink peace hopes for a generation. "Nothing justifies this act... it will not serve peace or stability, instead it will nourish fanaticism and violence," said Abul Gheit, according to AFP. Palestinian Authority (PA) chairman Mahmoud Abbas has begun a diplomatic blitz aimed at persuading Arab leaders to talk the Trump administration out of the Jerusalem recognition. Mahmoud Al-Habbash, a senior adviser to PA chairman Mahmoud Abbas, on Saturday declared that an American recognition of Jerusalem as Israel’s capital will destroy the peace process. Saeb Erekat, Executive Secretary of the Palestine Liberation Organization (PLO) warned on Friday that American recognition of Jerusalem as the capital of Israel would be “playing with fire."